Berserk continues to move forward, albeit with the same weaknesses it had in its premiere. There’s a rather rough quality to the show as a whole, one that I’m not entirely sure I believe is intentional. 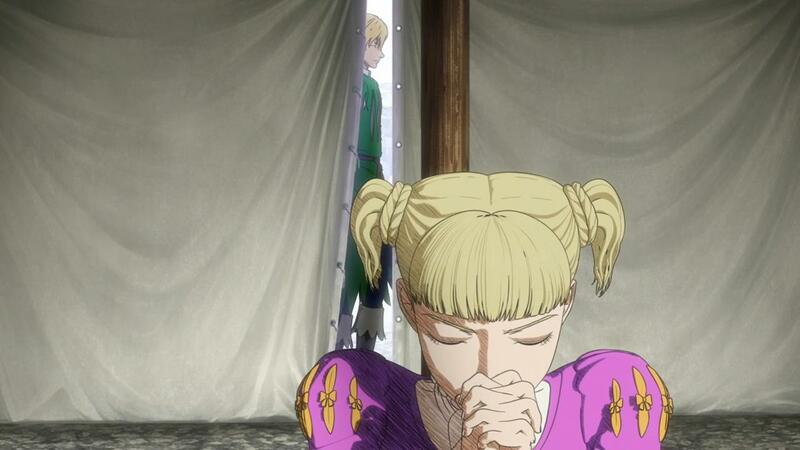 There’s a serious lack of budget for this series, and every week, its like a dark shadow hanging over every episode. And while its definitely less apparent this week, and definitely a lot less distracting, I do wonder if its just me acclimatizing to the show’s production values, more so than the production values themselves improving. 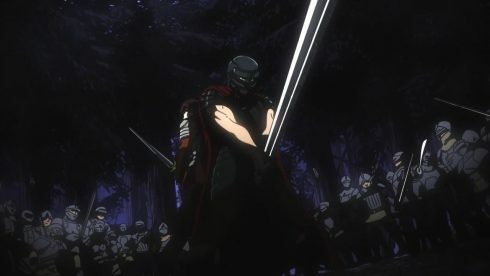 And while the visuals continue to be hit or miss depending on what point of the episode you’re at, the bigger concern, at least for me, is the pacing. The pacing feels a bit rushed, choppy and there’s a genuine lack of flow to the story. It was understandable in the premiere, because the premiere had to basically hit the ground running, but this week its a lot less excusable. 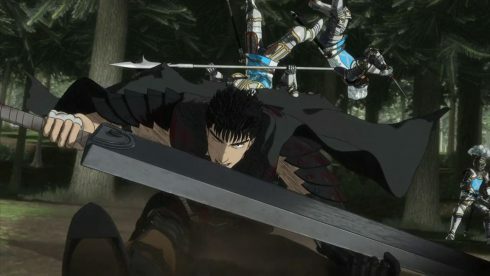 Like I mentioned last week, Berserk is a slow, deep and intricate story, with a very distinctively dark and twisted high fantasy world. The rushed pacing and the insistence to just adapt things at a breakneck pace, are hurting this series and the story as a whole. I think the biggest problem, is the skipped content that I mentioned back in episode 1. 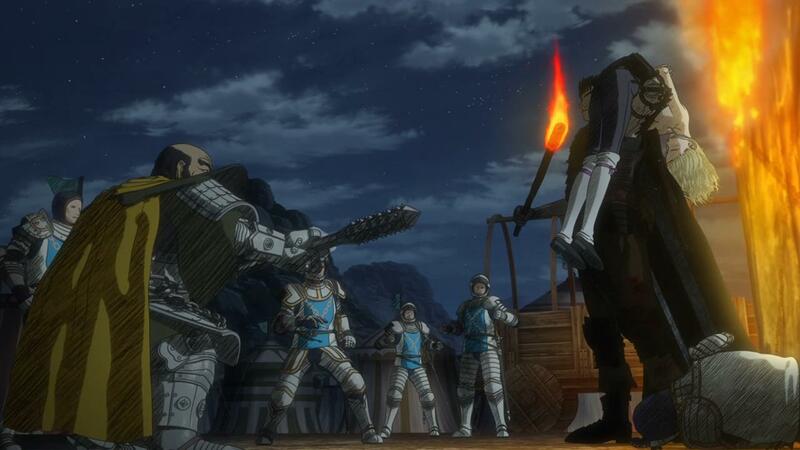 There’s a good deal of stuff that happens, before Guts actually encounters the Chain Knights, and then is taken prisoner. 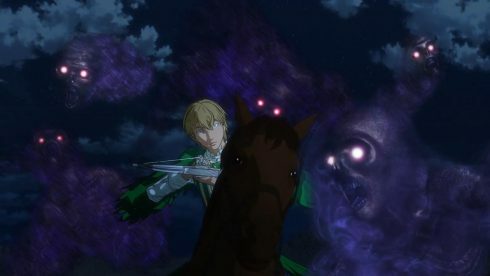 The Knights themselves track him for quite a while, and see the destruction that’s left in his wake, which provides some context into why they’re so adamantly pursuing him, without giving him the benefit of the doubt. Added to that, there’s the whole Behelit little plot point. Guts simply has that with him, and its actually something that plays into events later, but the story of how he got it is… Just left out. 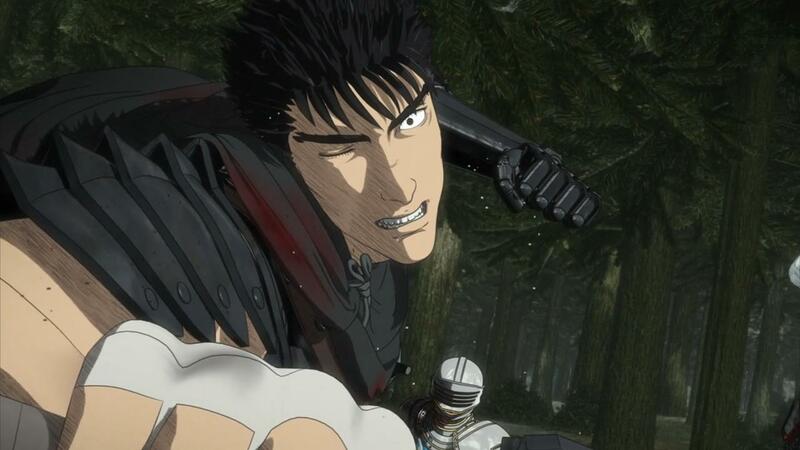 Getting into the actual events of the episode itself, I feel like there’s some odd and awkward juxtaposition between the various flashes that Guts has to his past, and current events. 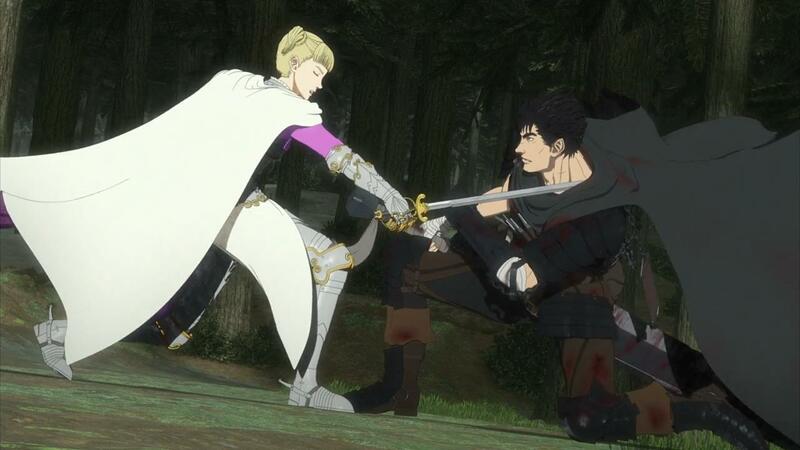 Since this show follows after the trilogy of movies, its almost unnecessary to keep reiterating something that fans of the franchise are pretty acutely aware of – Guts relationship and dynamic with Griffith. 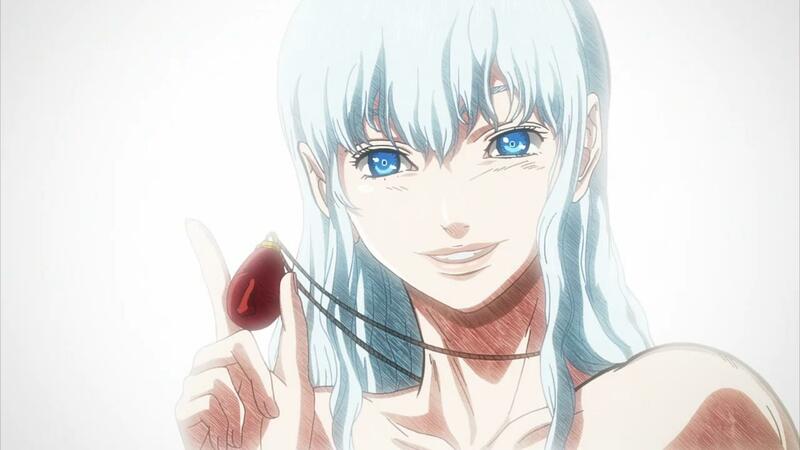 That’s the central conflict of the story, obviously, and even the OP itself goes through great pains to recap everything, so the scenes hearkening back to Griffith are kind of distracting. Its especially odd when there’s some pretty exciting and tense stuff happening in the present. 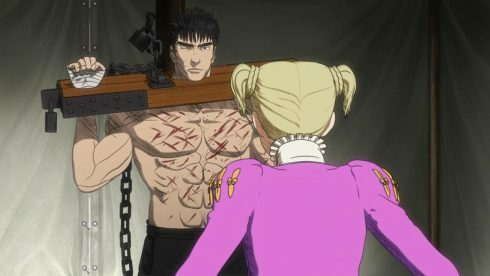 Guts’ battle with the Chain Knights, and his interrogation by Farnese, are important and pivotal moments that just lose their momentum because of these rather jarring flashback scenes. 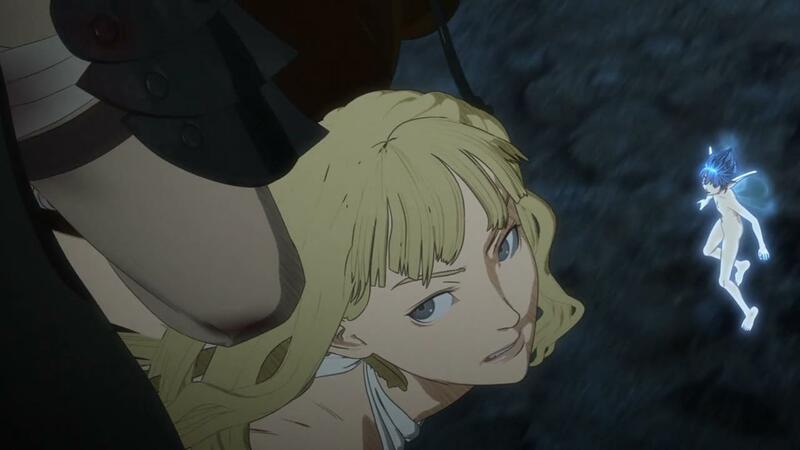 The flashback scenes are actually hand drawn, and while its a treat to kind of see them in Non-CGI fashion, I do wonder about the use of the budget for these moments. That same budget can better be spent fleshing out the actual scene itself, as the CGI Animation in these scenes definitely lends to some choppy moments. Its not just the animation itself though, the sound work is noticeably subpar in some parts as well. 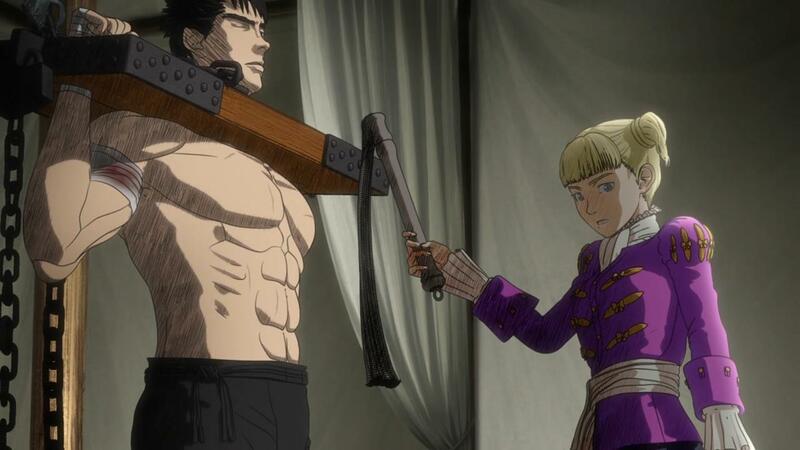 The whipping scene, where Farnese basically loses herself and just wails on Guts, is a pretty important moment in the story. Its something that’ll be looked back on a decent bit in the future, so its unfortunate to see the whipping itself not have the resounding “Smacking” sound effects that it needs. It sounds more like someone lightly tapping a piece of wood, rather than a dangerous whip that is cutting someone’s skin open and spewing blood. 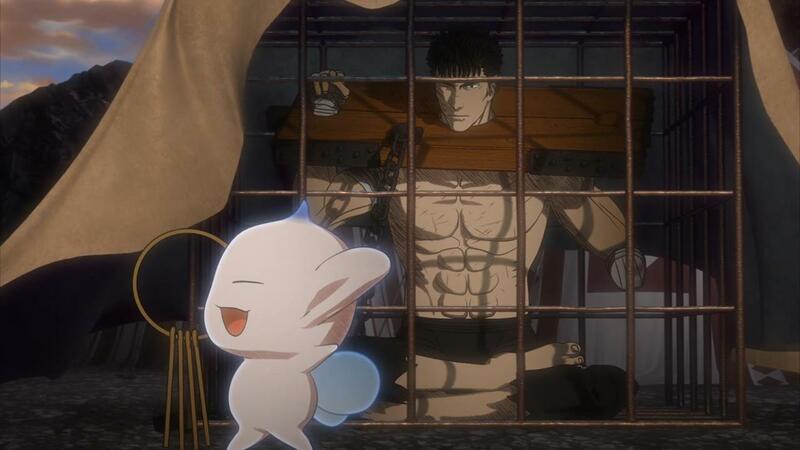 And again, this isn’t the sort of the stuff you generally notice with anime in general. Sounds effects, voice acting, these sorts of things are generally just spot on, which makes the lack of finese in these sort of areas particularly noticeable. And to make matters worse, I’m really not digging the random epic hums and hymns that seem to make their way into monumental scenes. The music here is too overpowering, too dramatic, and it fails to augment the scene at all. 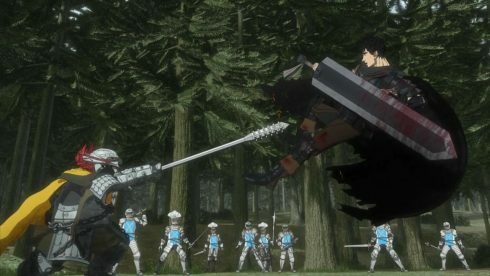 Bad music, janky animation, rushed pacing, flow problems, odd sound effects, these are just things that I’m not used to seeing in contemporary anime. And its unfortunate, because what is happening on screen IS interesting. The whole dynamic of the Chain Knights, Farnese’s own insecurities and how openly Guts lays them bare, its all interesting stuff. The very markedly anti-religious commentary here, is also pretty fascinating. While I’m not anti-religion myself, its just interesting to see such a starkly biased anti-religion opinion from a Japanese point of view. The whipping, the crass interrogation, and even the self mutilation that we see Farnese doing as she “repents”, definitely all points to a world where religion seems to be something that people fool themselves into following. But after that big interrogation scene, there’s once again, not much time left to breath. 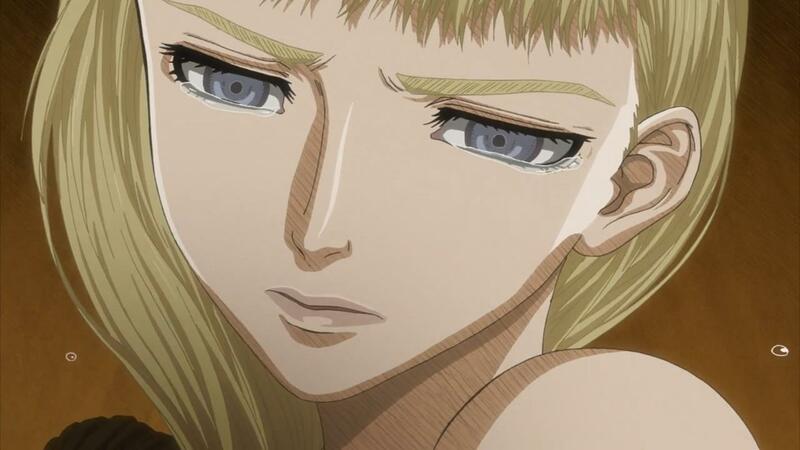 Guts immediately escapes, with Farnese in tow, and we just rush into whatever’s coming next. I will commend the show for literally ending at the end of an actual manga chapter, but this episode itself kind of seems a bit throwaway in general as a result. There’s just that lack of an impact in the pivotal scenes that happen in this episode, and to be quite honest with you, I’m not sure why. Is it the cruddy animation that’s to blame? Is it the sound effects? Is the pacing just off? Is it those flashback scenes? Is it all of the above? I really don’t know. 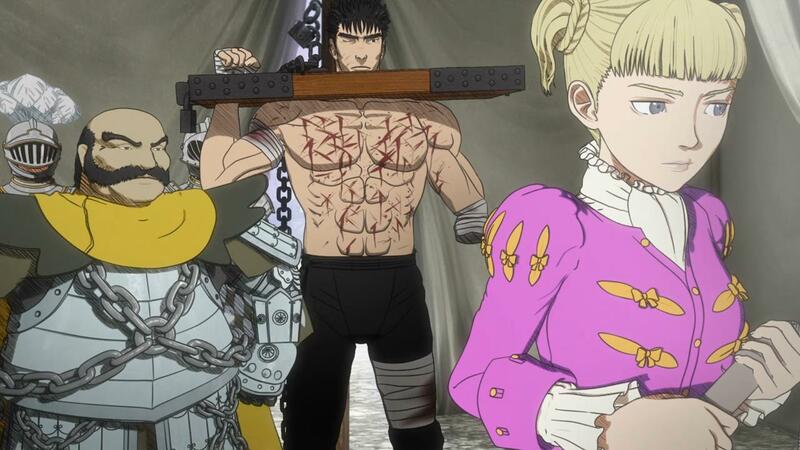 But something just feels off about Berserk. It feels rough, and unpolished, and not in a way that actually helps the series and the story its telling. 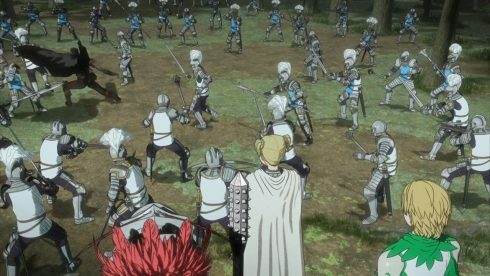 I suppose the bigger question for me is whether these are growing pains, or just an indication of this series as a whole. 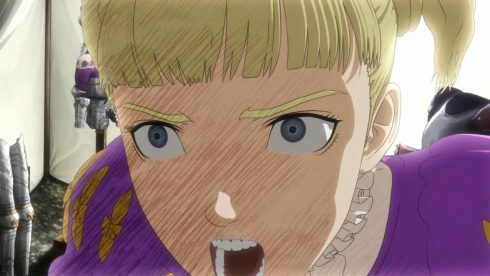 The jury’s still out on whether Berserk is just going to be a messy adaption that’s just going to ride on the coattails of its source material, or if its actually going to do said source material justice. I suppose I’m still adopting the wait and see approach. 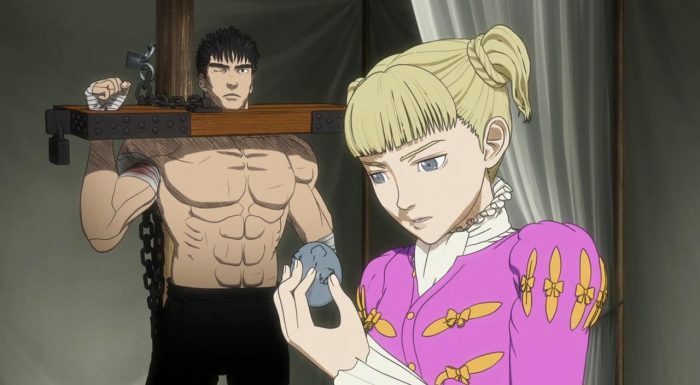 This episode wasn’t terrible, but I don’t think it was great either, and there some noticeable issues that I felt really took me out of the experience. Hopefully these distractions fade with time.